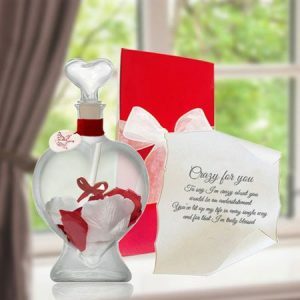 Nothing means more than the gift of thoughtful words carefully chosen by you to impart your most heartfelt sentiments! 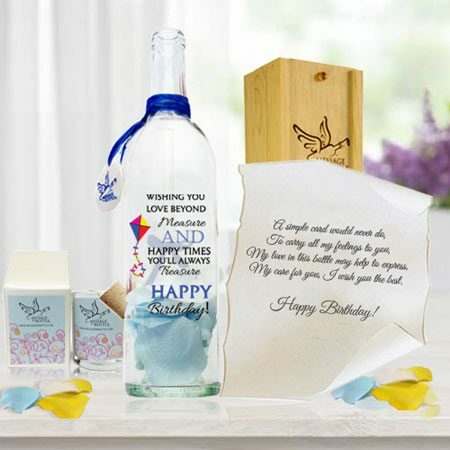 Genuine Message In A Bottle ® is the only gift which allows you to create and express those thoughts in a most eloquent way. 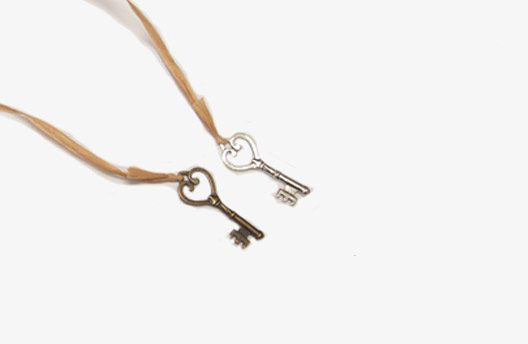 A way that will be forever held dear. When plush toys are lost and greeting cards disposed of, flowers fade away and chocolates disappear so is the message they were once intended to convey. 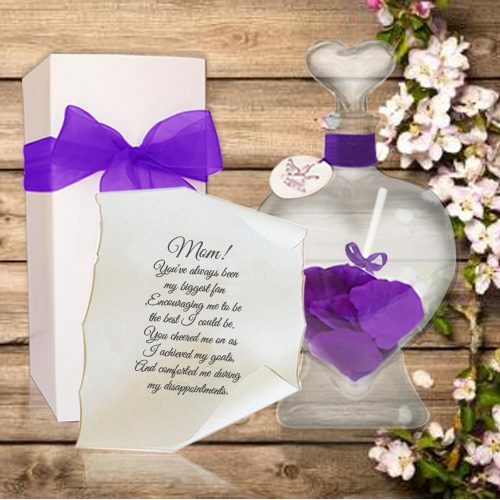 Message In A Bottle ®, whether displayed for all to see or as a keepsake carefully tucked away, becomes an instant heirloom, there to enjoy year after year bringing back sweet and tender memories for a lifetime. This perennial favorite is not surprisingly our number one best seller. Perhaps its popularity is due in part to it being able to cover such a wide range of occasions. 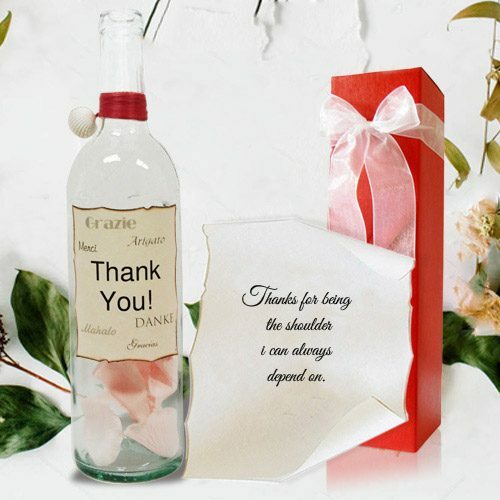 This bottle has been used by our customers for everything from Valentine’s Day gifts to marriage proposals. The beauty of this design along with all our other designs is that the gift can be crafted by you to fit any occasion you desire. 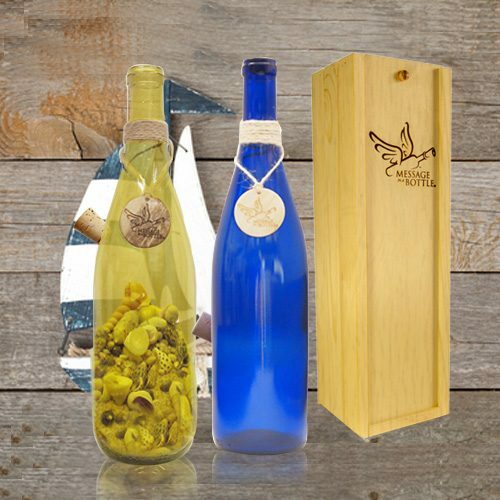 Perfect for virtually any occasion, your Message In A Bottle gift comes in your choice of our exquisitely designed bottles;secured with an attractive ribbon; and delivered in a free gold toned gift box. Each of our bottles also comes with a Certificate of Authencity which is backed by our Federal Trademark ensuring that the gift you send is genuine. Feel secure knowing that our 100% Money Back Guarantee is also included with every purchase so rest easy. 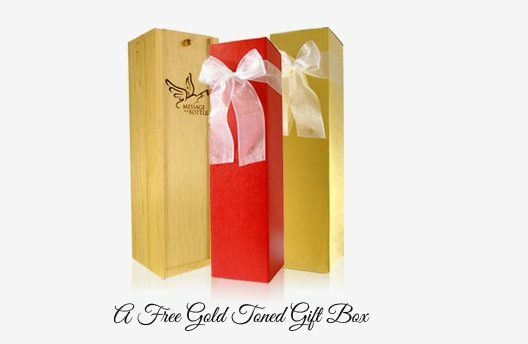 and red gift box with bow or presentation wood crate may also be added. 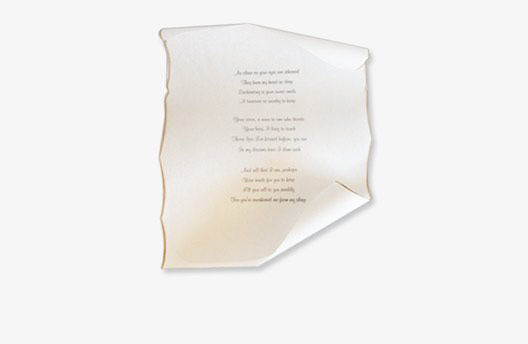 choose from one of our carefully scripted messages that are sure to capture your most elusive feelings. Thank you guys, I promise to continue business with you, your bottles are beautiful. “The bottle was for my wife on our 34th wedding anniversary, she loved it! a gift with only the joy and happiness of another in mind. 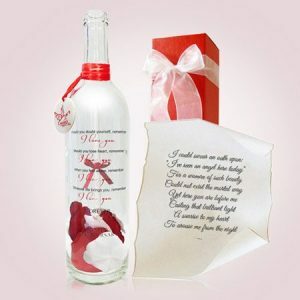 If you’re looking for a romantic gift, anniversary gift, or that special unique gift… Message In A Bottle can deliver on all of those. You have found the place that can help you deliver your message in a way that will be memorable for a lifetime. Stop sending the same gift over and over. This is your opportunity to make a lasting impression. 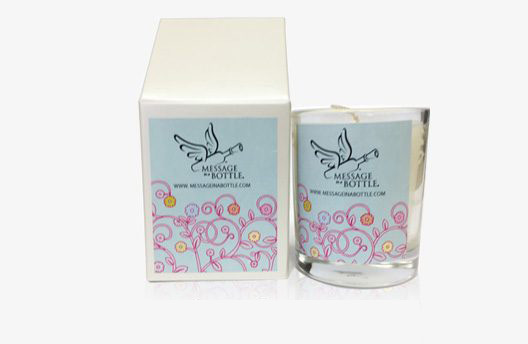 Send one of our beautiful gift bottles today and experience the genuine Message In A Bottle ® difference. The wonder they’ll experience as they discover the message inside. From whom can it be? 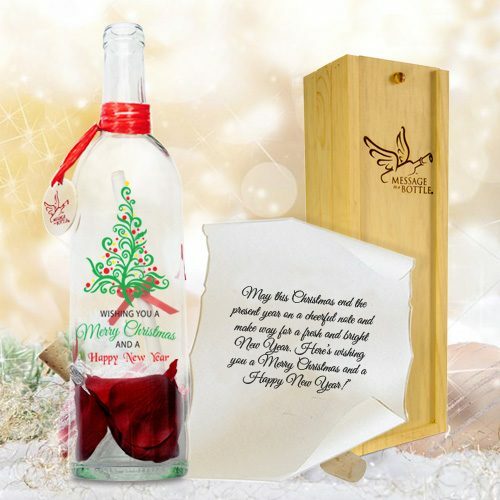 The surprise they’ll feel as they open the gift box and a beautiful bottle is revealed. The anticipation that grips them as they remove the message. The joy they’ll feel when they realize it’s from you. The look in their eyes says it all! Now just imagine how great it will feel knowing you made someone so very happy. 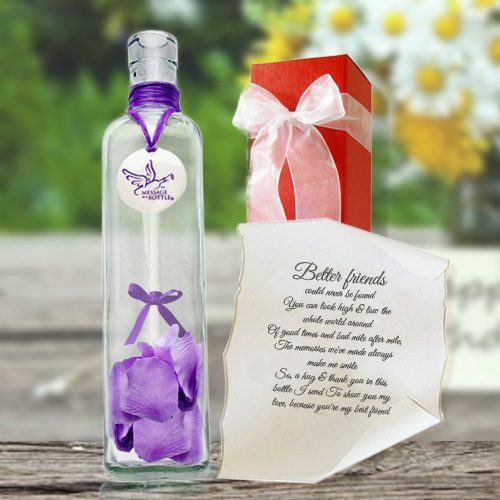 Message In A Bottle ®, a gift that you and only you can create. .